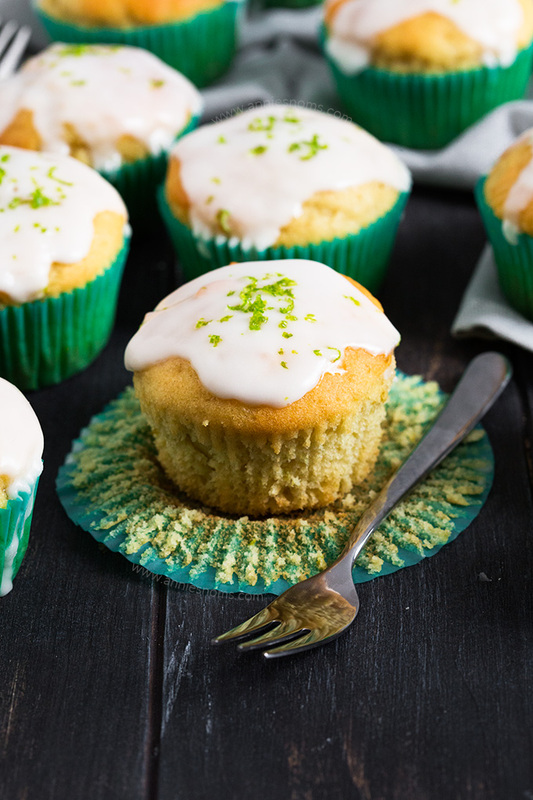 These Lime and Yoghurt Muffins are Spring in muffin form! They’re soft, flavourful, easy to make and perfect for breakfast on the go! Can you believe it’s April?! 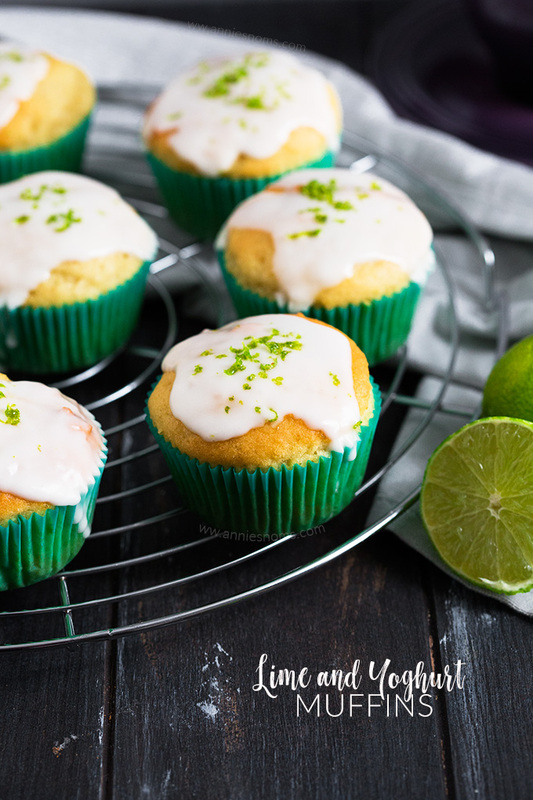 I can’t, although Spring has finally sprung, so today I have some amazing Lime and Yoghurt Muffins to share with you! Although the speed with which the months are flying by is scary, I am glad it’s Spring! I just love the flavours, the clocks have changed so the days are longer, we can put our winter coats away, put the washing out on the line… it feels amazing after a few cold, dark months. I try to go for a walk every lunch time, to get some fresh air after a busy morning working from home, I have to admit, in the Winter it’s not so fun. I still do it out of necessity, but when Spring comes around I really enjoy my walks. I can’t walk far, but it’s still nice to feel the Sun on your skin and the breeze in your hair. 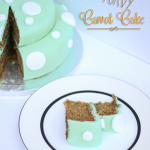 Baking also lightens up in Spring and my favourite fruits start to come into season… it’s great for me as I have always loved citrus desserts; I always buy an abundance of lemons, limes and oranges and love to get creative in the kitchen. My latest creation is these Lime and Yoghurt Muffins; you can make them on a Sunday evening and then have your breakfast for the week sorted! These muffins are soft, full of flavour and totally delicious. I added the zest of 2 limes to the mixture and used yoghurt in lieu of milk (I usually use milk in my muffin batter) – the yoghurt means these muffins are SOFT. Incredibly so! The yoghurt also adds a lovely tang to the muffins and marries together beautifully with the lime. The other ingredients are all things you probably have in your kitchen, so these are perfect for those times you are craving homemade muffins. 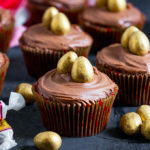 Although this is a simple recipe, it does not disappoint in the flavour department, these have gone straight into my top 5 favourite muffins ever… and they don’t have chocolate which is a miracle for a chocoholic like me haha! Preheat the oven to 180C/350F and line a 12 hole muffin tin with liners. Place the sugar, eggs and lime zest into a large bowl and whisk until smooth and there are no lumps. Gradually add in the melted butter, whisking while you do this, until everything is smooth and well combined. Add in the flour, bicarbonate of soda, baking powder and salt and whisk until the mixture starts to come together, then add the yoghurt and continue to whisk until there are no lumps of flour and you have a smooth, well combined batter. Divide the batter between the muffin liners; fill them 3/4 of the way. 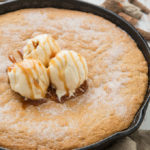 I used a heaping 2tbsp cookie scoop. Place in the oven for 12-15 minutes, until risen, golden and an inserted skewer into the centre comes out clean. Leave to cool in the pan for 10 minutes before transferring to a wire rack, with kitchen paper beneath it, to cool completely. 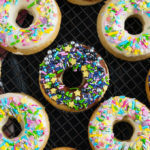 Once cool, make the glaze: Sift the icing sugar into a medium sized bowl and add the lime juice 1tbsp at a time, whisking until you have a thick glaze which ribbons when you pull the whisk out. You want a fairly thick consistency that will stay on the top of the muffin and just a bit of it drizzles down the side. Garnish with fresh lime zest if desired. Lime and Yoghurt Muffins will keep in an airtight container, at room temperature, for 4 days, or in the fridge for 6 days without the glaze. If glazed, they’ll keep for 3 days and the glaze will sink into the muffins. I would keep the muffins unglazed for breakfast on the go and if you’re serving them glaze just before serving. Hope you enjoy it, they really are the perfect, softest muffins! I really want to make this recipe but I don’t have any yoghurt. Can I substitute milk or sour cream? Hi, yes you can; substitute the cup of yoghurt for 1/2 cup (120ml) milk, increase the baking powder to 2tsp and decrease the bicarbonate of soda/baking soda to 1/2tsp – hope you enjoy them! 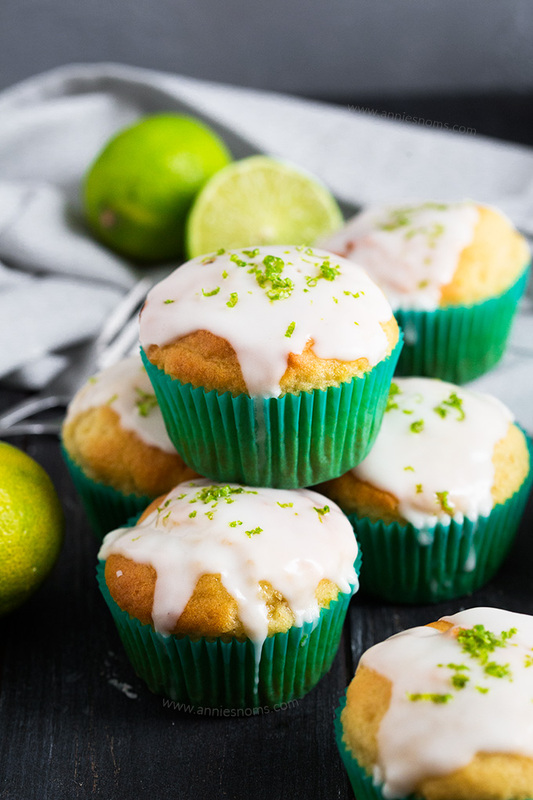 These muffins look so beautiful 🙂 What a lovely combination – and I love the addition of the lime zest! Thank you so much, they were so delicious! 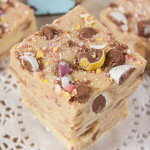 I am all about the citrus desserts at the moment – it’s one of my pregnancy cravings. So I am definitely trying this. Same here, I just love them! Good luck with your baby, so exciting!! 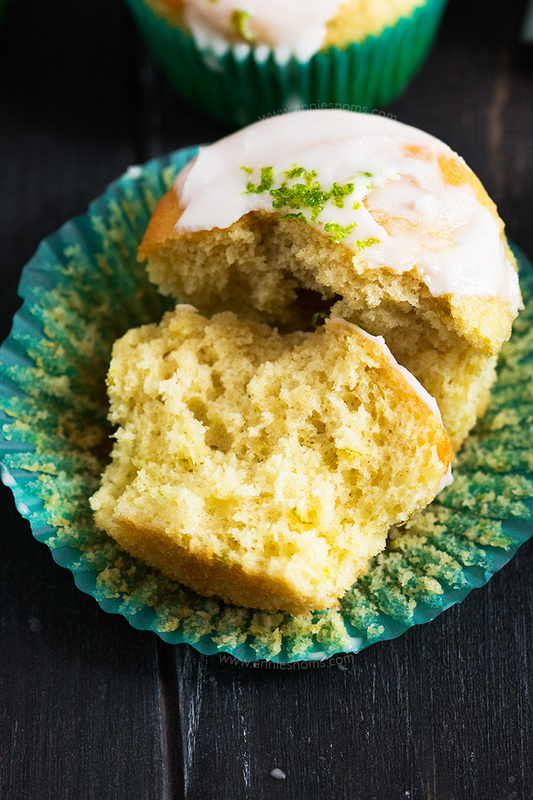 Lime is my favorite flavor this time of year, and I can’t wait to try these muffins! I can’t pick between limes and lemons; sometimes I really think limes are it, then the next day all I want is lemons!! 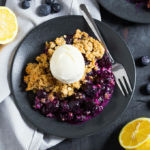 I always love reading these posts and the way you write them, this recipe is new to me and looks very delicious. 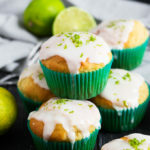 Never thought that limes can turn into these delicious muffins. 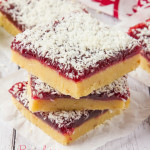 This recipe is easy to make and I’m gonna try this one. Hope it will turn out same as you did, since I’m not good in baking haha. Thank you for sharing this recipe.